All our tops are made from recycled rubber trees, immensely strong in their own right, and hugely beneficial to the environment. They are then furnished with no fewer that 76 threaded brass receivers; making sure everything that fixes to them is solid & strong; 8 for the legs, four for a CPU support, and then there is the pedestal drawers and then of course our 5 other ranges, all of which utilise the same top to make sure our stock holding of 20,000 desks can be as versatile as you need it to be. But the threaded brass receiver only has a small part to play in the versatility of Bench, only a fraction of what makes our desks better. Why buy a desk that exposes the cables that in any other environment you would want to hide away? Trip hazards, fire hazards, user interference or just plain ugly. 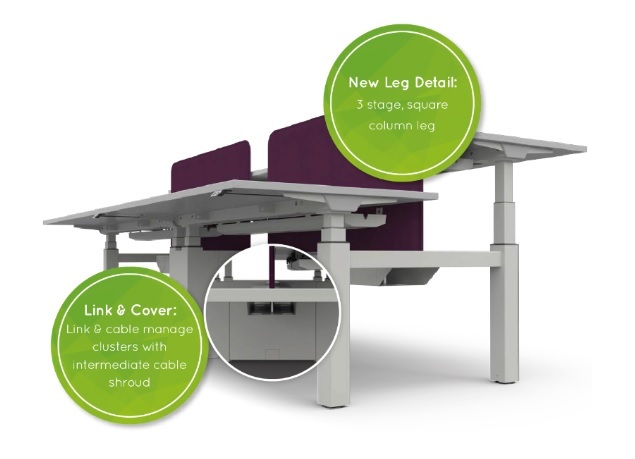 The Bench system puts the cables exactly where they should be on any desk system, out of sight, out of mind, accessible when need be but for the most part, secure & tidy. Ultimate flexibility to change. Desk needs change, when it comes to Bench, it’s not on a daily basis, in fact, it may not even be on an annual basis. But, when the time comes, that beam will slide in or out to make the desk footprint smaller or larger, adapting to the needs of the user, for minimal expense. Our desks are flexible; that’ll be the telescopic beam, secured in place to high grade steel legs. No thin, “cheaper to buy” steel used here. The frame of your desk is the foundation of it’s ability to support the user. A desk that moves around when first built will only get worse over time. Our desks are solid & strong; that’ll be the solid frame, secured to a top fitted with those threaded brass receivers. Simple kit of parts & a single tool fitting. No need for an extensive toolbox to install Bench. One tool to secure the 8 bolts into the threaded brass receivers and the same one to fasten the telescopic, cable managed beam to the high grade steel legs. Peace of mind comes from a guarantee that represents a confidence in an ability to stand the test of time. No limit on how many times you move the desk, no restriction over usage & no small print. 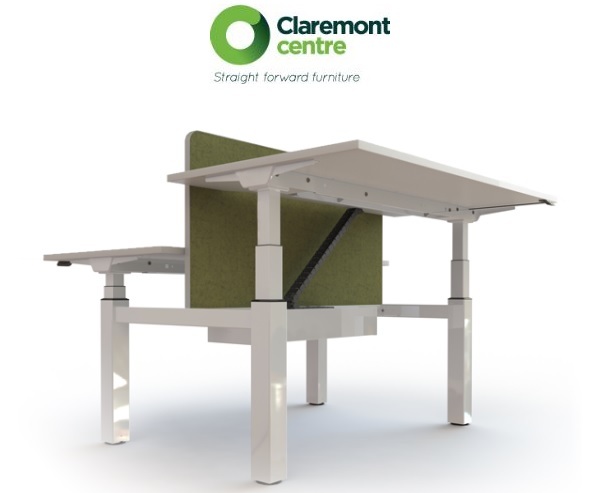 Just a simple promise that a Bench desk from Claremont Centre will stand the test of time, surviving the harshest of environments and as many moves as you can muster. Ready to go from stock. We have the largest desk stock holding in the UK, Bench plays a big part in that. It’s on the shelf and ready to be picked in one of 15 colour combinations; meeting the needs of most of the people, most of the time. Delivered by our own people, on our own trucks, that means you know that even when it’s left the smartest warehouse in the industry, it’s still in safe hands. If you are a specifier of desks, you’re a specifier of bench. You owe it to your client’s to at least take a look at this Bench. Because if you haven’t, you’re probably not working with a supplier that you can put trust in everything, from the brass receiver to the UK’s largest stock holding of office desks.